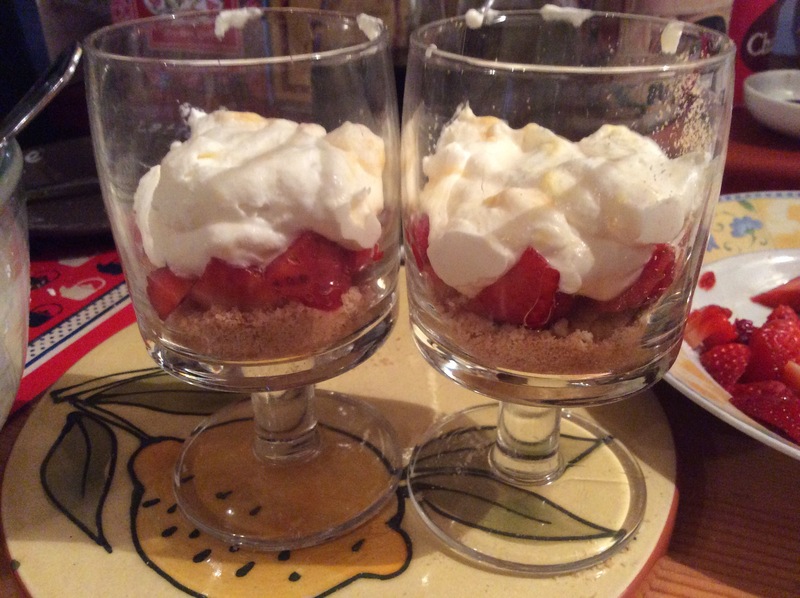 If there’s an ‘Eton Mess’ (Strawberries, whipped cream and broken meringue) then I don’t see why we can’t have a ‘Jumble House Mess’! Actually I had intended to make Eton Mess but then didn’t have any meringue so concocted this instead! To be honest I’d prefer a piece of cheese any day but then I’m not normal! Most people love a dessert, my husband being no exception and he wolfed the lot! 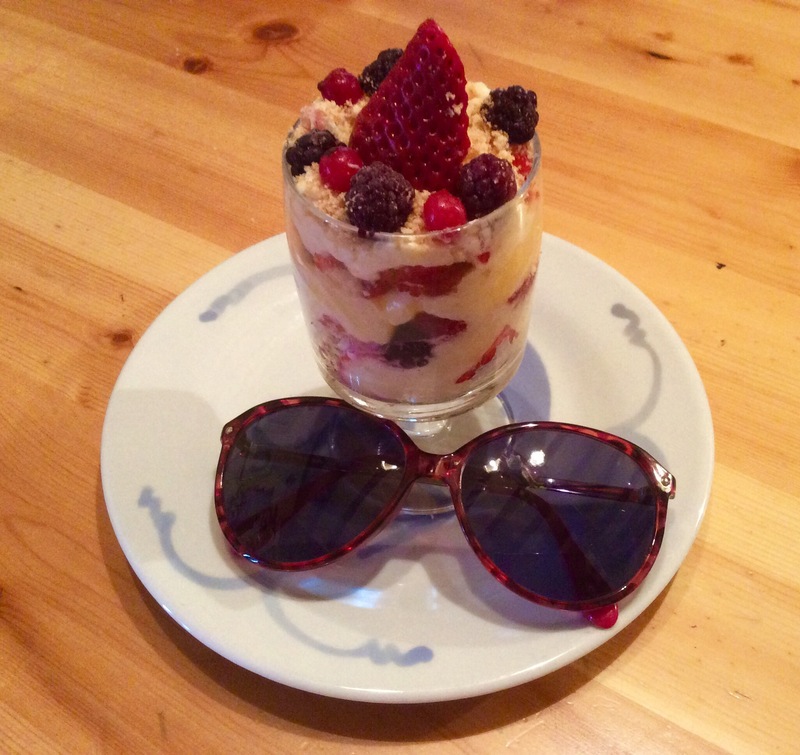 This can be made with fresh strawberries or mixed berries or even frozen frutta di bosco or fruits of the forest. It’s even nice if you mix the two! Berries ..strawberries or fruits of the forest. Custard. (If English) crema pasticciera (If Italian) and if neither then I’m not sure! I used a packet of Birds Custard powder but used less liquid. Half a pint instead of three quarters. Biscuits. 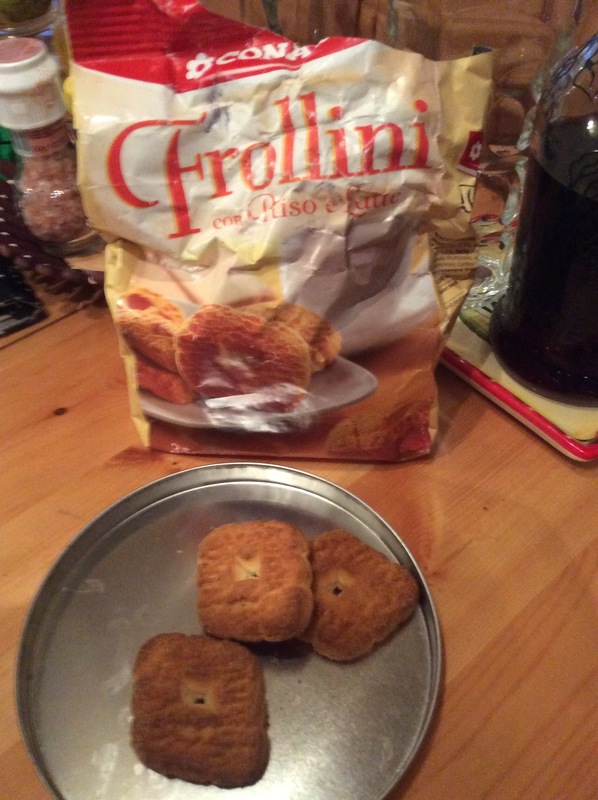 I used an Italian biscuit. In England. Definitely not Digestive Biscuits because they are too rich. Rich Tea are too plain. Maybe ‘Hob nobs’ or similar would work. First crush the biscuits. 2/3 per person. I put them in a plastic bag and beat them with a rolling pin. 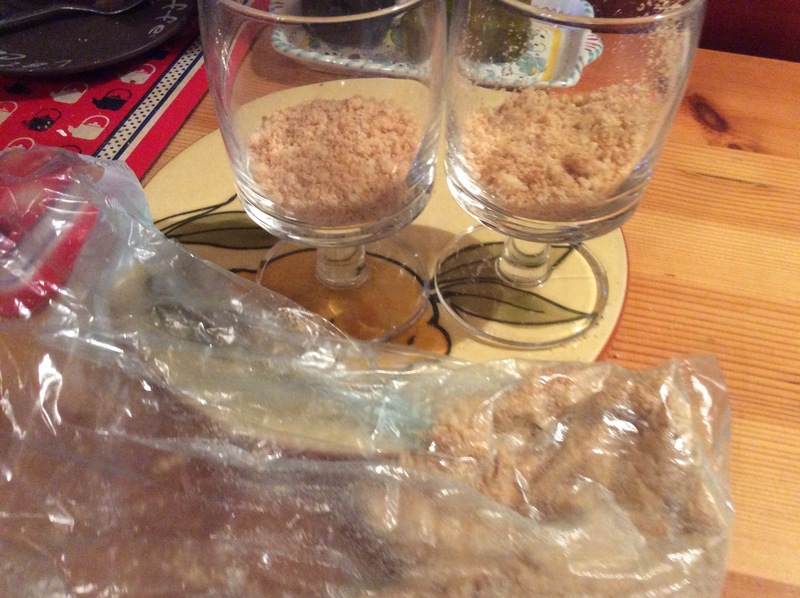 Then put a thin layer of the biscuit crumbs at the bottom of the glasses. 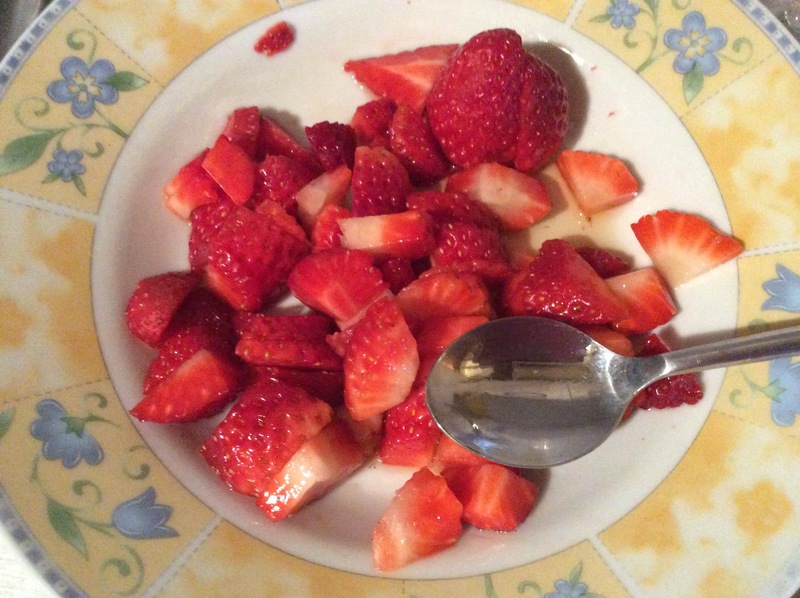 Chop the strawberries into bite sized pieces and soak in Di Saronno for half an hour. I used one tablespoon per person. If you are using berries or frozen fruits of the forest do the same..
Then put a layer of strawberries (or your chosen berries) on top of the biscuits. Don’t forget the juice!! That’s VERY important! Carefully fold the cold custard and whipped cream together then put a big dollop on top of the fruit. Now repeat the layers: biscuit crumbs, fruit, cream mixture. 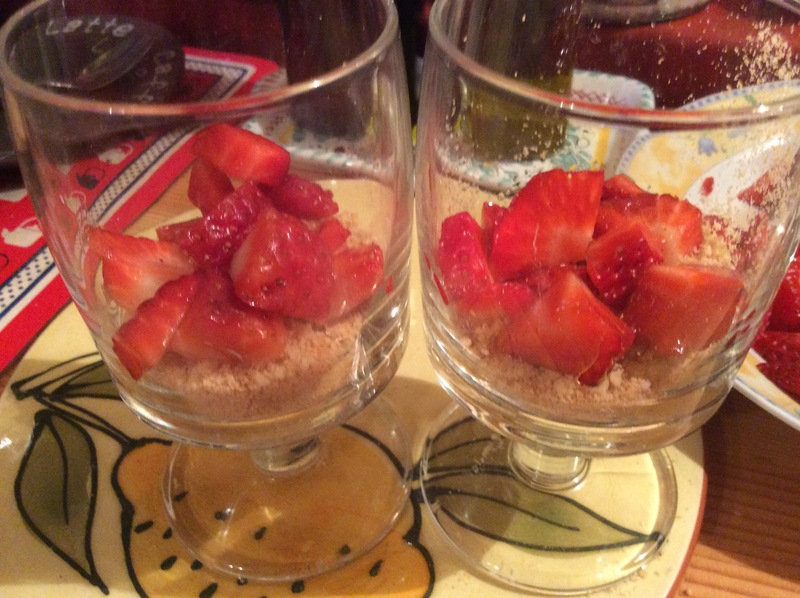 Finish off with some sprinkled biscuit crumbs and a strawberry or berries. Why don’t they do this kind of thing at school? By that I mean in first or primary school. If you catch them young so many more children would be interested in Science! Lizzie demonstrates how to make an egg float and delivers a challenge. A quick and fun activity to do at home. Parent supervision is needed. This is a quick, creamy and deliciously lemony Cheesecake. Preraratin time: thirty minutes plus two hours in the fridge. About six servings. No bake. No eggs. 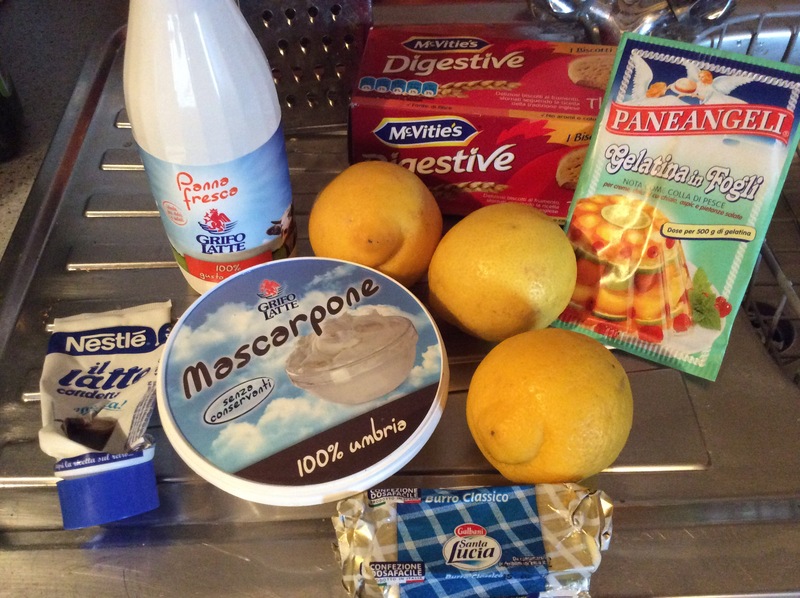 Mascarpone – One tub of full fat. Lemons – the juice and grated rind of three big ones. It’s best to watch the video but just a few points to observe. I really believe in getting kids involved in the kitchen and they will enjoy helping to put this Cheesecake together. Even the smallest will have fun smashing the biscuits up . Supervised of course! Then they can help to spoon the mixture in the dishes before licking the spoon of course! I followed the instructions on my gelatine advising to soak for ten minutes in cold water and then added it to the cheese and cream mixture prior to whisking . But do use as little water as possible. It helps if you break the gelatine into,small pieces. There’s no need to add sugar because this is present in the condensed milk. Choose large juicey good quality lemons. It really does make a difference. Chromatography is a big word but it simply means splitting something down into its basic components. So milk is milk but it’s components are fat, sugar, protein, water etc. In the same way but MUCH more fun, we can split colours down into their basic pigments. Sounds complicated but it’s a piece of cake! A,fun activity that even a preschool,child will enjoy (always supervised, of course) . Watch the video and you will see! 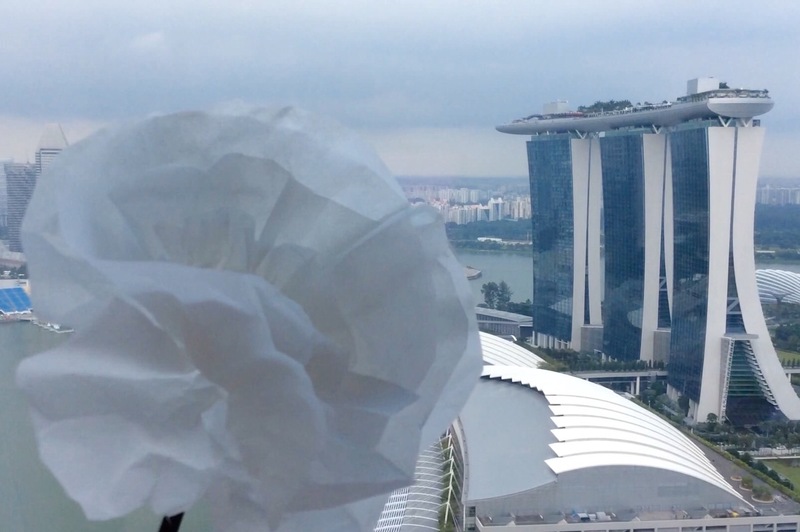 The flowers above are part of the i LightUp Marina Bay in Singapore. At night they are illuminated but I really prefer the white purity of the flowers during daylight. They contrast beautifully with the bright green foliage and blue skyscrapers. . 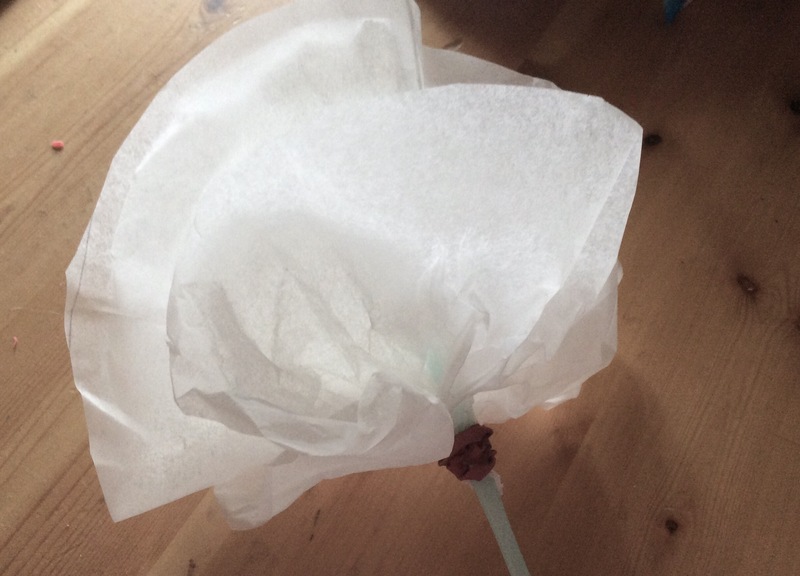 I made a very simple and quick version for my granddaughter from greaseproof paper. She has danced with it every day since so it’s very durable! It’s also very easy and something you can enjoy as a family activity. All you need is some greaseproof paper, a straw, pipecleaner or wooden skewer for the stalk and some glue and a rubber band. A blob of playdough or blutack helps but not essential. 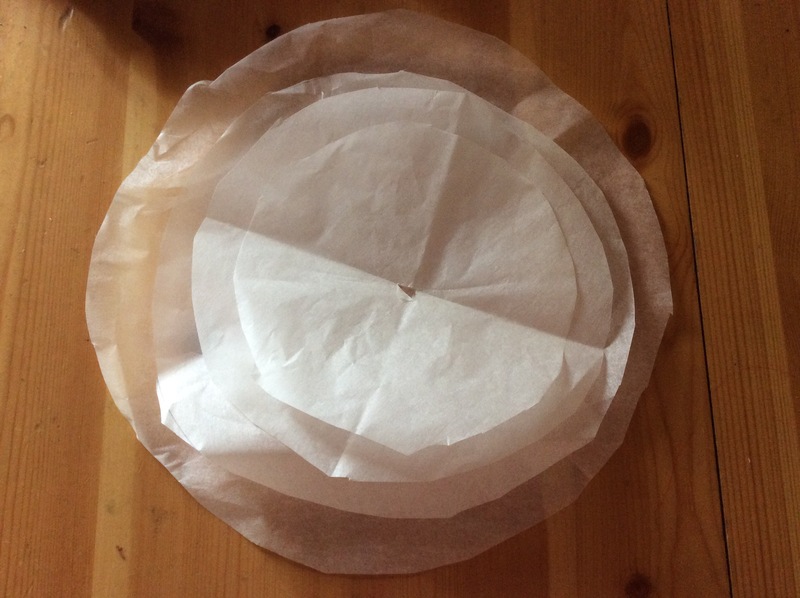 I simply used different sized plates to draw round as templates and cut out four concentric circles from the greaseproof paper. The size depends on how big you want the finished flower. Then all you do is place one circle on top of another and make a small hole through the the Centre. Push the straw (or whatever you have chosen to be the ‘stem’) through the Centre. Then it’s simply a matter of scrunching the Centre of the circles together around the stem. A blob of blutack or playdough may help to hold the circles together and stop them coming off the stem. The more you scrunch the better! 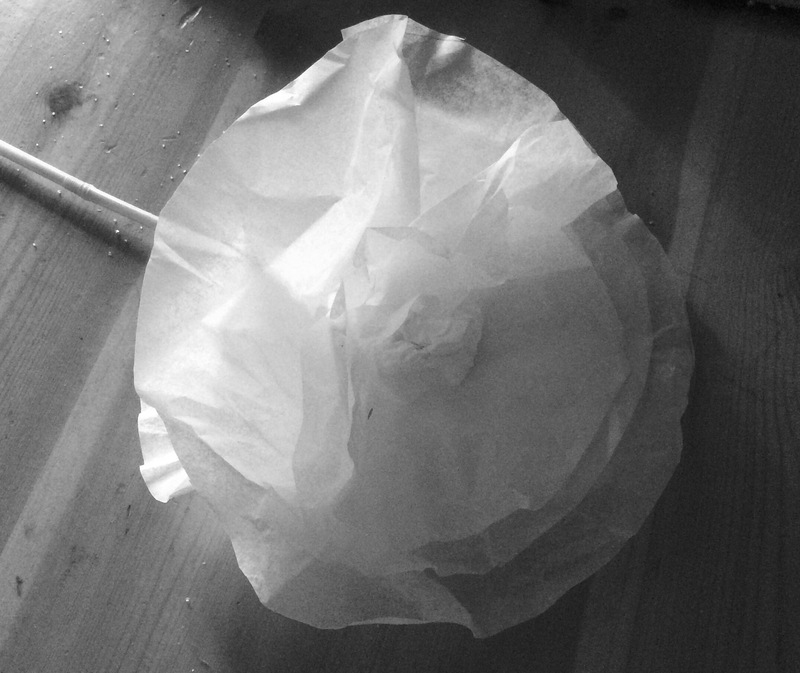 Then I just bind an elastic band to hold the base of the circles to the stem and stick a crumpled bit of tissue to the Centre of the flower. That’s it! It’s all about texture and sensory play. A fun game which will improve your child’s sense of touch and increase their vocabulary. All you need is a plastic box. 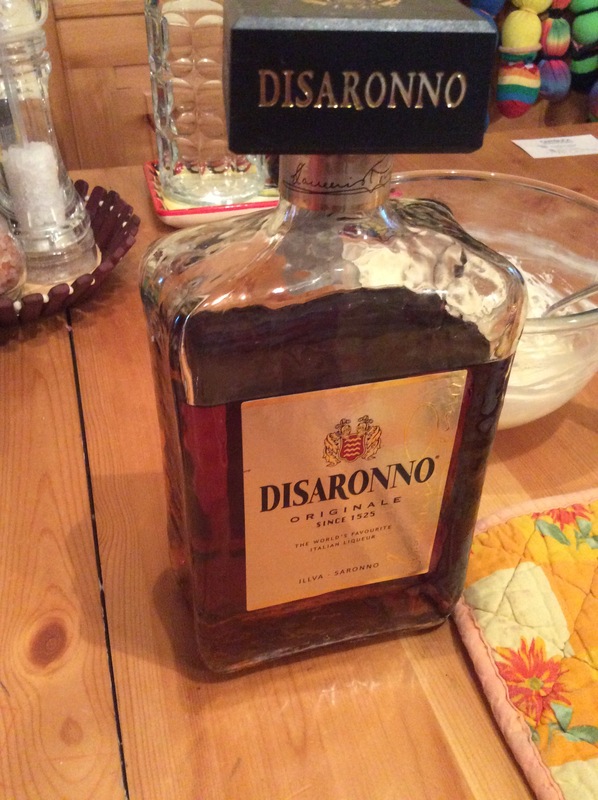 A 4 litre size is good. 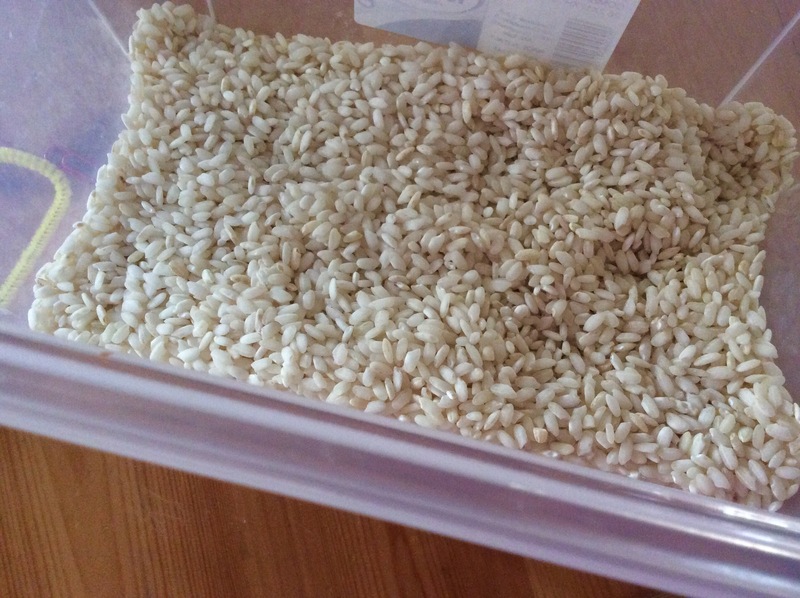 Fill with rice. You will need quite a large quantity so choose the cheapest. A few items with varying texture. Start with 4 larger objects. 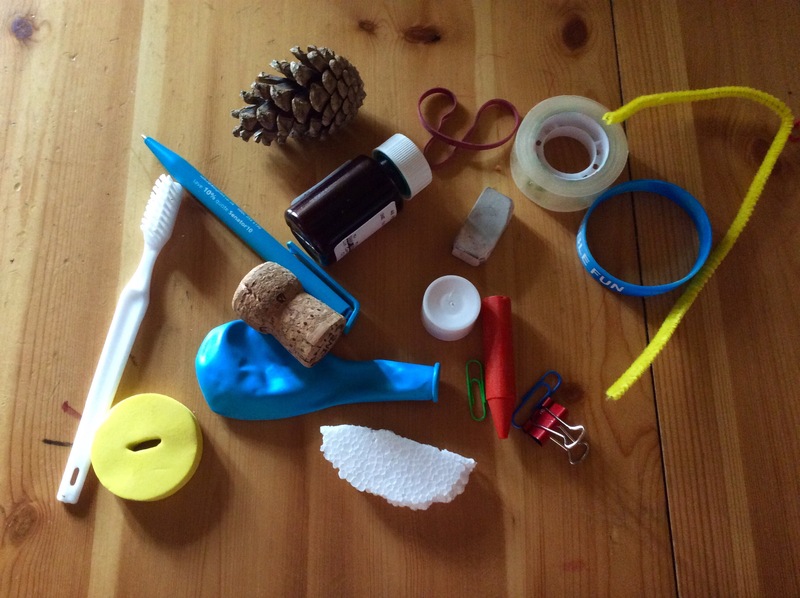 So maybe a fir cone, a toothbrush, a pen and a small bottle. 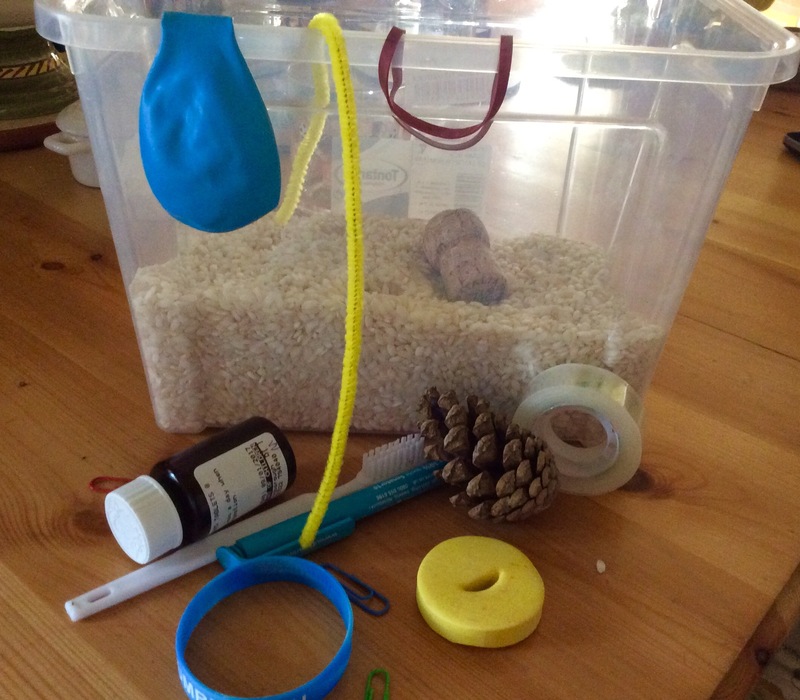 When your child is confident finding these larger objects make it more difficult by hiding small objects like keys and paper clips and small bottle tops and hair slides and bobbles and Lego and tiny toys. 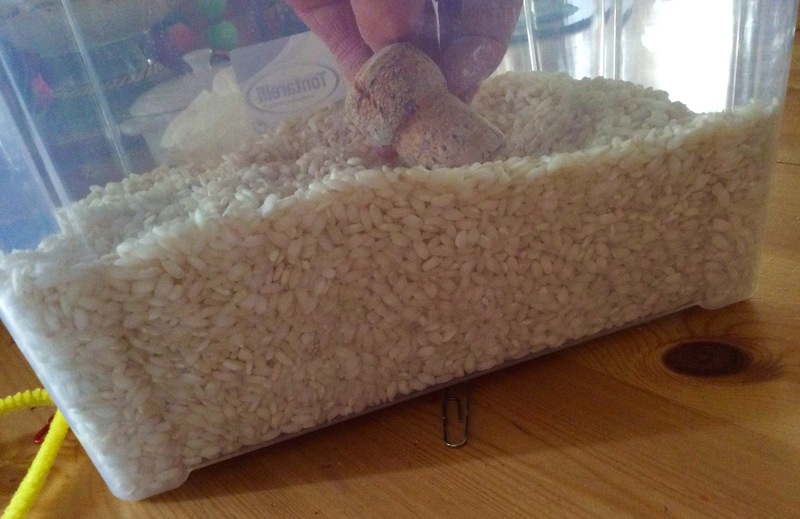 Then hide the objects in the rice and take turns in finding one of the objects by touch. Model the finding process when it’s your turn by describing what you can feel. I usually deliberately find one or two of the ‘wrong’ items so I can model the ‘finding’ vocabulary. It is better if you cover the box with some paper to prevent any visual clues otherwise it’s open to cheating!